SB 1 provides a starting place for the Senate to identify ways to make strategic investments in children and families as the budget is revised over the course of the legislative session. This testimony identifies a number of specific HHSC, DSHS, and DFPS budget items that require the Senate’s attention in the areas of Early Childhood Intervention (ECI) for toddlers with disabilities; Medicaid and CHIP for children, pregnant women, and Texans with disabilities; women’s health programs; additional initiatives to address maternal mortality and morbidity; substance use disorder treatment; children’s mental health; efforts to prevent entries into foster care; efforts to ensure children are safe in foster care; and implementation of the federal Family First Prevention Services Act. 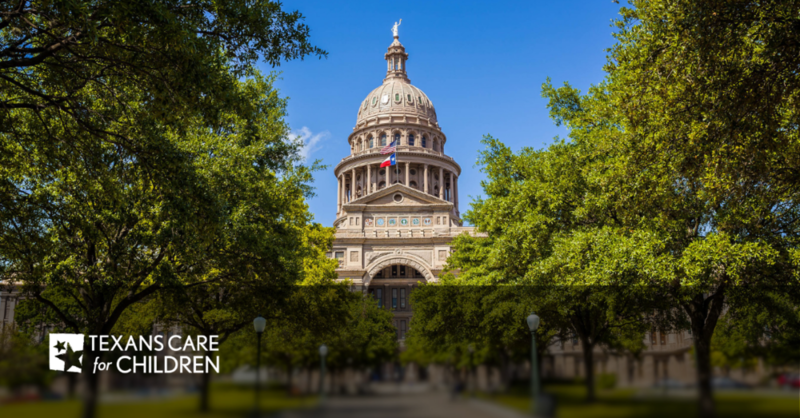 This testimony provides several recommendations for improvements to make to SB 1, including providing the additional $71 million requested by HHSC for ECI; investing in substance use disorder treatment to help improve maternal health and keep children out of foster care; providing funding to auto-enroll young women in the Healthy Texas Women program when they exit CHIP or Children’s Medicaid; and providing funding to address the rising rate of youth suicide in Texas.